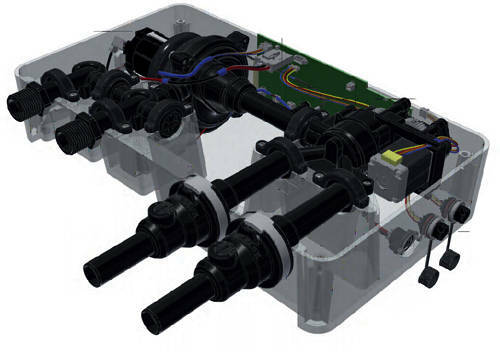 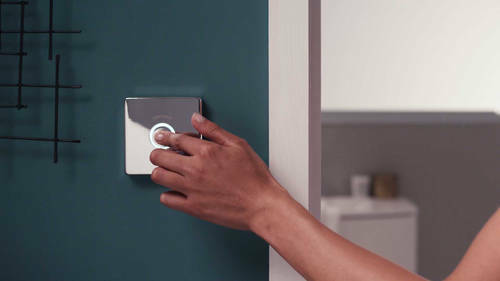 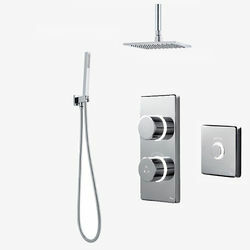 Digital Showers > Twin Digital Shower Pack, Square Head, Remote & Kit (HP). 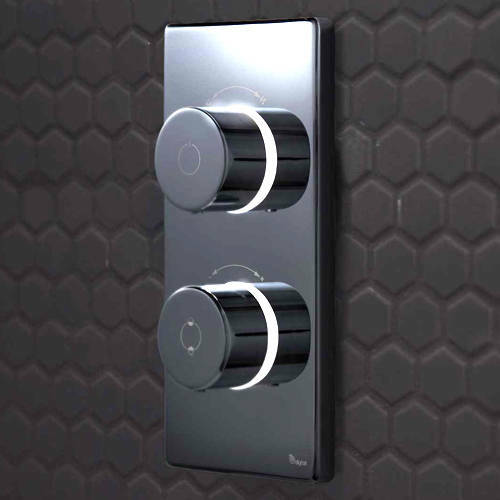 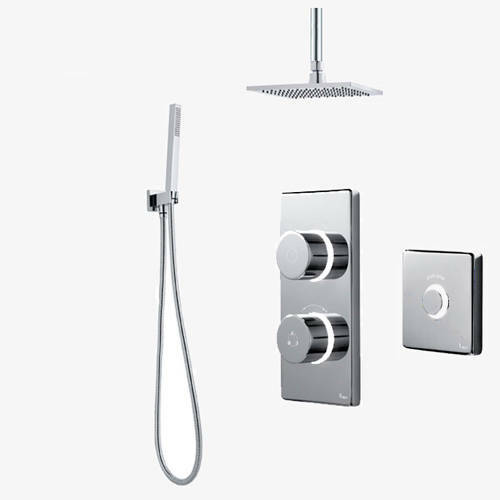 Contemporary 2025 two outlet digital shower pack with LED colour changing lights, processor unit, 8" square shower head, ceiling mounting arm, contemporary shower kit and remote control (high pressure systems). 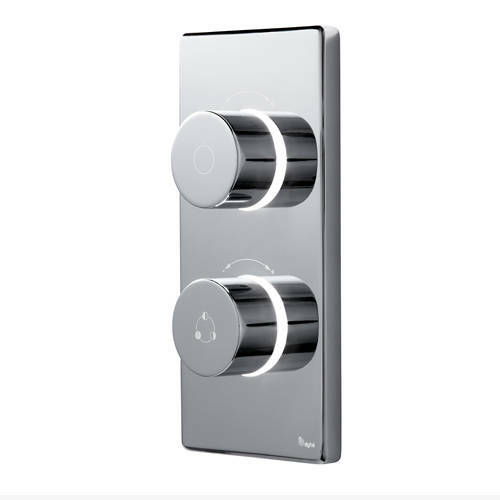 Contemporary shower kit: Square handset and holder with integrated wall outlet included.